Deletion calls for 2,000-word “think pieces” on the concept of “punk” as it has been used (and abused) in speculative fiction subgenres. William Gibson, the godfather of cyberpunk, is credited with the phrase “The future is already here—it’s just not evenly distributed,” or some variation thereof. He’s been using it at least since the 1990s, with seemingly no source for its first usage, and it has since become a maxim used to describe the contemporary situation of hyper-futuristic technological modernity living alongside the massive systems of wealth and income inequality that structures global neoliberal life. In a word, the maxim defines neoliberalism. Its intent, not coincidentally, was to define the ethos of cyberpunk. “High tech. Low life,” as the online cyberpunk collective Neon Dystopia puts it: cyber- and -punk. Cyberpunk in its maximal manifestation signals a revolt against, within, and from the underbelly of the systems of power that allow science-fictional futures to coexist alongside ever-expanding economic and ideological gaps between the haves, the have-nots, the boot-strappers, and the never-will-haves. It channels the energy of punk in the era of digitality. The breadth of “punked” speculative fiction delimited by specific names, and thus by identifiable generic tropes and (often small) canons, is astounding: atompunk, biblepunk, biopunk, bugpunk, candlepunk, castlepunk, cattlepunk, clockpunk, cyberpunk, decopunk, dieselpunk, dreadpunk, dreampunk, dungeonpunk, elfpunk, graffitipunk, kidpunk, mesopunk, middlepunk, mythpunk, nanopunk, nowpunk, oceanpunk, plaguepunk, salvagepunk, sandalpunk, silkpunk, solarpunk, splatterpunk, steampunk, and stonepunk. Recently, creators of color, especially black and Afro-diasporic writers following in the wake of Charles Saunders’s “sword and soul” intervention into heroic fantasy, have begun to create “funked” genres that correspond to and critique the normative racial landscapes of punked speculative fiction, coining subgenres like cyberfunk, steamfunk, and dieselfunk. What’s clear across the genrescape, is that “-punk” and “-funk” have become euphemisms for screwing with what is considered the traditional way of doing things in speculative fiction, whether radically divergent from generic, cultural, or political norms—or not. This special issue, or “episode,” of the online journal Deletion calls for short, 2,000-word “think pieces” that consider the uses and abuses of “-punk” in speculative fiction and its communities of practice. This special issue asks, in short, what is “punk” in speculative fiction and what does it mean to “punk” the genre? How do writers, artists, media-makers, fans, and critics deploy the action of “punking” in the generic territory of the speculative, and to what purposes? Is “punk” obsolete? Is it aesthetic? Is it thematic? Is it political? And, at the heart of all these questions: how? In other words, what does “punk” (or “funk”) offer speculative fiction? Contributors might tackle these and other questions specific to particular punked (or funked) subgenres, or they might offer analysis at a broader, more generic or community-based level. Submissions may be historical-analytical, text-critical, or creative in their responses to the question of punking speculative fiction. Contributors are encouraged to submit essays, (audio)visual art, and fiction that responds to speculative fiction’s punking. Please submit a 200-word abstract and a brief bio by January 5, 2018 to be considered for inclusion in Punking Speculative Fiction. Decisions will be made within ten days and completed submissions will be due to the editor by April 1, 2018. For more information about Deletion, please see their “About” page. They are an incredible venue for bridging scholarly and creative communities, as well as engaging public thought and discussion about speculative fiction in an easily accessible, online, open access forum. Sean Guynes is a PhD student in the Department of English at Michigan State University. 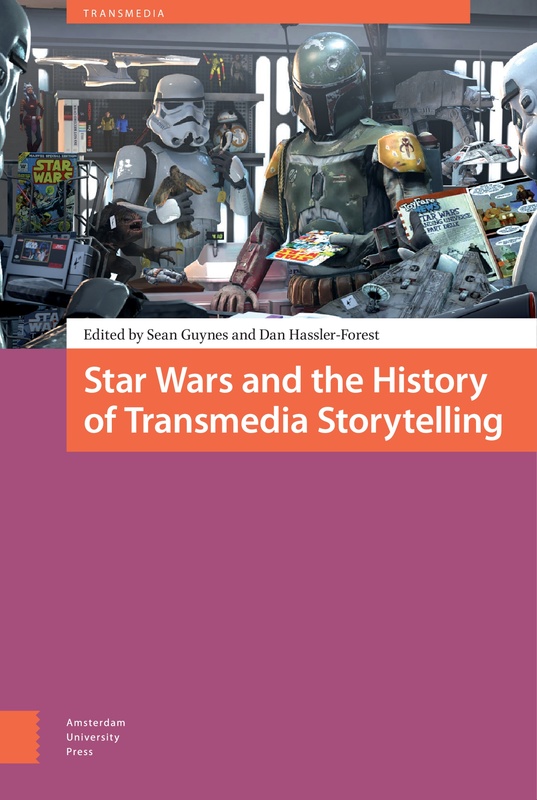 He is the co-editor of Star Wars and the History of Transmedia Storytelling (Amsterdam UP, 2017) and Unstable Masks: Whiteness and American Superhero Comics (forthcoming), as well as the former editorial assistant of The Journal of Popular Culture. You can read more about his work at seanguynes.com. Featured art: “Steampunk Railway Station” by Yoojin Seong.